Todd, Mike and MacKenzie are in Philly this week for Podcast Movement 2018. If you are in Philly, drop by the booth, say hi, tell them about your show and grab some swag while you’re at it! Meantime, in this episode of the PowerPress Podcast, they talk about NPR’s Smart Audio Report with Edison Research, the makers of S-Town being sued by the estate of John McLemore, the relaunch of TalkShoe and lots about Podcast Movement — why you want to be there and what we’d love to show you. Of course, we beat some dead horses in the support section. TalkShoe is relaunching at Podcast Movement. Many of us used TalkShoe back in the day. Good to see an iconic brand back. Not sure yet if it will be a good place for your podcast. Podcast Movement Panels / Sessions not to miss. Todd is on 3 of them and MacKenzie is on 2. Some good reasons to make it to conferences / meet-ups about Podcasting AND in your niche subject. Blubrry Dev team is growing! The speed of updates for various apps and directories. When you publish your new episode. 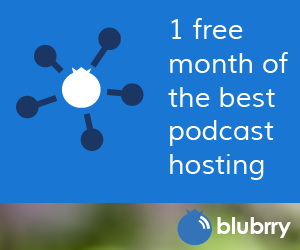 People (mostly new podcasters) think it should be instantly visible in every platform. That is not how RSS works. These places/apps/directories PULL your RSS feed when they want, not when you want (in most cases). Best thing you can do is subscribe in a podcast only app (not Stitcher, Google Play or Spotify) and you should get your new episode right away (few minutes normally). Also, check to make sure the episode made it in your RSS feed. The RSS feed is the key. Look at in https://CastFeedValidator.com or the Firefox Browser. Phone support is going to be slow this week (or non-existent). If you call, leave a message and the team will do its best to get back to you, otherwise, the quickest way to get help this week will be the contact form at blubrry.com/contact/.